The March 123 challenge went live so I can now share with you my DT entry for their months challenge. For this months challenge I decided to make an Art Journal page. 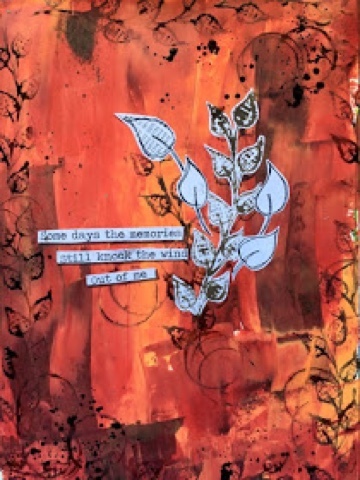 I love art journaling and love to play with paints and ink and all sorts of messy things. And this page came together really easily. As I was gathering my colours to fill the autumn colour criteria it all seemed to flow from there. I used red and orange dylusions paints and had a touch of brown on my pallet. I used an old card to drag the paint over the page- and in doing this the colours blended together beautifully. 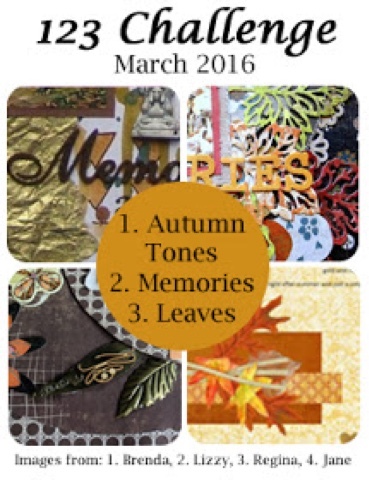 I love this layout- thanks for stopping by, hope you will join us this month for our challenge.